Anatomy is a Greek word meaning ‘cutting up’ and can be simply defined as the study of the structure of the human body. Anatomy refers to the study of the structure of the body and the relationship among all its structures. 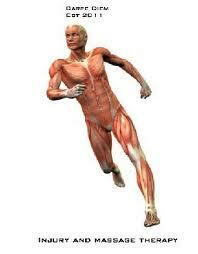 Physiology: refers to the functions of the body parts and how the body parts work. The structure of the body part often depicts its function. Definition: this is the largest system in the body and it consists of the skin, nails, hair, sweat and its sweat glands. Function: supports and protects the body, provides leverage for muscle contraction, stores cells that produce blood cells, minerals and fats. Definition: specifically refers to the skeletal muscle tissue but other muscle tissue includes cardiac and smooth muscle tissue. Function: it provides movement, maintains posture and it produces heat. Function: regulation of all body activity through the transportation of hormones by the cardiovascular system. Function: distribution of oxygen and nutrients to all cells in the body. The transportation of carbon dioxide waste from cells, maintenance of the acid-balance in the body’s cells, protection against disease, prevention against haemorrhage by clotting and helps regulate the body’s homeostatic environment through temperature control. Definition: lymph, lymphatic vessel and structures or organs containing lymphatic tissue (lymphocytes), such as the spleen, thymus gland, lymph nodes and tonsils. Function: returns proteins and plasma to the cardiovascular system, transports fats from the gastrointestinal tract to the cardiovascular system, filters body fluid, produces white blood cells and protects against disease. Definition: consists of the lungs and a series of associated passageways leadig into and out of them. Function: supplies oxygen eliminates carbon dioxide and helps regulate the acid-base balance of the body. Definition: a long tube called the gastrointestinal tract (GI) and associated organs such as the salivary gland, liver, gallbladder, and pancreas. Function: performs the physical and chemical breakdown and absorption of food for use by the cells and eliminates solid and other waste products. Definition: organs that produce, collect, and eliminate urine from the body. Function: regulation of the chemical composition of blood, elimination of waste products, fluid regulation, electrolyte balance and volume. It also helps to maintain and regulate the acid-base balance of the body. Definition: the testes and ovaries that produce the reproductive cells and other organs that transport and store reproductive cells.